When the Planets Rahu and Ketu surrounds all other planets and rest 7 houses being empty is said Kala Sarpa Dosha or yoga. Unusual sudden occurrences occurs in the person’s life like child issue, loss in business, family problems etc. This Pariharam is performed by invoking Rahu and Ketu and chanting mantras to satisfy the Graha and the homam is executed as per the shastras to get rid of all the problem occurring due to this dosha. When Should I Perform Kala Sarpa Dosha Nivarthi? Any person who is having this dosha can perform this Nivarana, the date can be selected as per the janma Nakshatram of the person. Book Pandit Online for Kaala Sarpa Dosha Nivarthi. All the Pooja Samargi will be brought by Vadhyar. 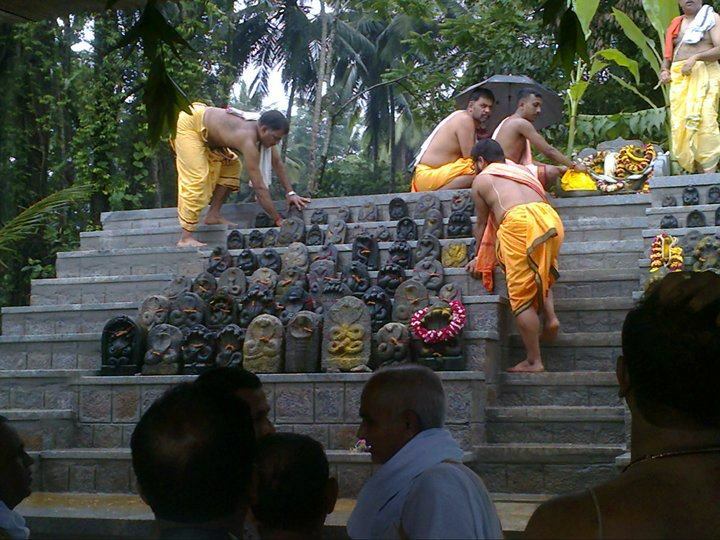 All the Iyer are very much experienced and concentrated from Vedic Pathshala.